No one really wants to acknowledge that they sit on the reactionary side of trading but it’s something most investors have in common. Investment decisions are usually a reaction to an event. Here is a great example with Silex Systems. 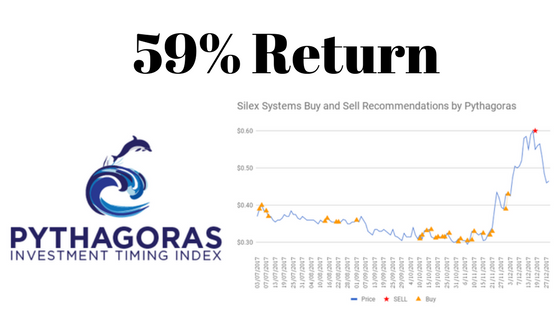 Silex is a stock Pythagoras offers to clients to subscribe. 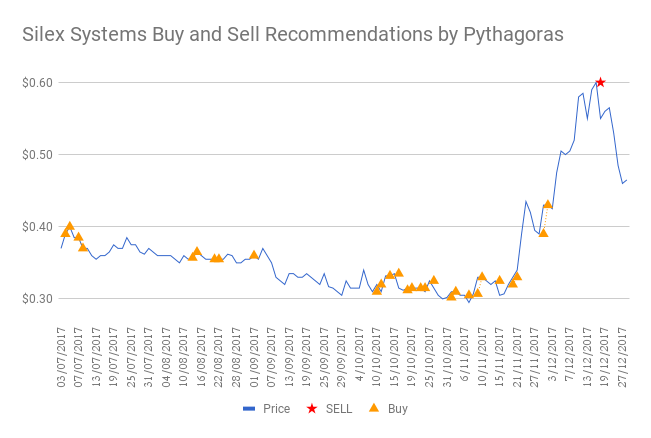 To understand more of how Pythagoras works we are using this stock as an example of trading over the last 6 months. Silex Systems Limited researches, develops, commercialises, and licenses SILEX laser uranium enrichment technology in Australia. It develops SILEX technology, a laser isotope separation process for uranium enrichment. The company was founded in 1988 and is based in Sydney, Australia. 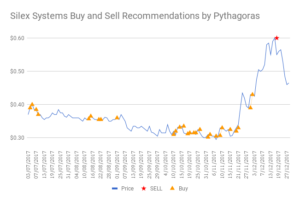 Pythagoras recommendations on this stock have provided amazing returns for the past 6 months. We have 28 buy recommendations at an average of 34 cents and a sell at 60 cents. A handsome profit of 25 cents per buy. That’s an average profit of 76% per buy with a total profit of those buys amounted to a cumulative $5.58. Or a return of invested capital of 59% in less than 6 months.